For a romantic meal that shows your date that you care about both your vitality and community, we would suggest booking a table at The Rosemary. Organic Hungarian cuisine at its finest is served in this quaint independent establishment near New Cross Gate station. Locally sourced and 100% organic, the Rosemary prides itself on its community spirit; actively taking part in many community projects based around employment and healthy living. The menu is focused around hearty, nutritious & seasonal foods all native to Hungary and sourced from their partner Organic farm in South East London. South London Club Card holders enjoy 10% off food Tuesday through Thursday and 10% off all craft beers every day. This traditional pub, sat directly outside New Cross Gate station, is a great option if you’re not sure if you necessarily want food, or if only a few individuals in the party want food. Much effort has clearly gone into their menu, which features sharing starters & delicious pub grub as well as well-prepared pizzas cooked in their traditional wood-fired pizza oven. The pub is beautifully decorated and has an extensive outside seating area for those after a more ‘al fresco’ experience. So if you’re looking for a place for a drink that is good for all types of weather, and you might want some food, The Rose is the perfect option, especially when you know you get 25% off pizzas with your South London Club Card. Frankly, if you don’t like jerk, then you’ve clearly not been to Cummin’ Up. Serving up arguably the best jerk in New Cross, nay, all of Lewisham borough, Cummin’ Up is a family-owned Caribbean restaurant which has been delighting the residents of South East London since 1991. This authentic South London-Caribbean restaurant is a great place for those who love jerk, and those who want to try it for the first time, all at a very reasonable cost, made even more reasonable when you get 10% off everything with your South London Club Card. To lend as much variety to this list as we could, we thought it was only right to include what is one of our favourite cafés in New Cross – Birdie Num Nums. Owned and run by a family whose history in New Cross stretches back three generations, Birdie Num Nums is another establishment that reflects New Cross’ growing reputation and changing face, as the premises were previously an off-licence. If you’re looking for somewhere to get a great breakfast, we can’t think of many better places than Birdie Num Nums. You may have heard of them before, not just for their great food, but because a customer phoned the police after being served the wrong kind of tea (that’s not the whole story). Anyway, what makes this place even more attractive is that you get 10% off when you show your South London Club Card. Serving class British food with a modern twist, The London Particular is a perfect place for any kind of occasion. Though it is only open till 4pm, it is still possible to have dinner there, you just have to make an appointment. Now none of us have ever made a dinner reservation by appointment, but we all agreed that if someone did that for a date, or for that special someone’s birthday, we would be mightily impressed. Dinner isn’t everything though, some would say breakfast is, and if you are one of those people, than The London Particular could be just the place for you. 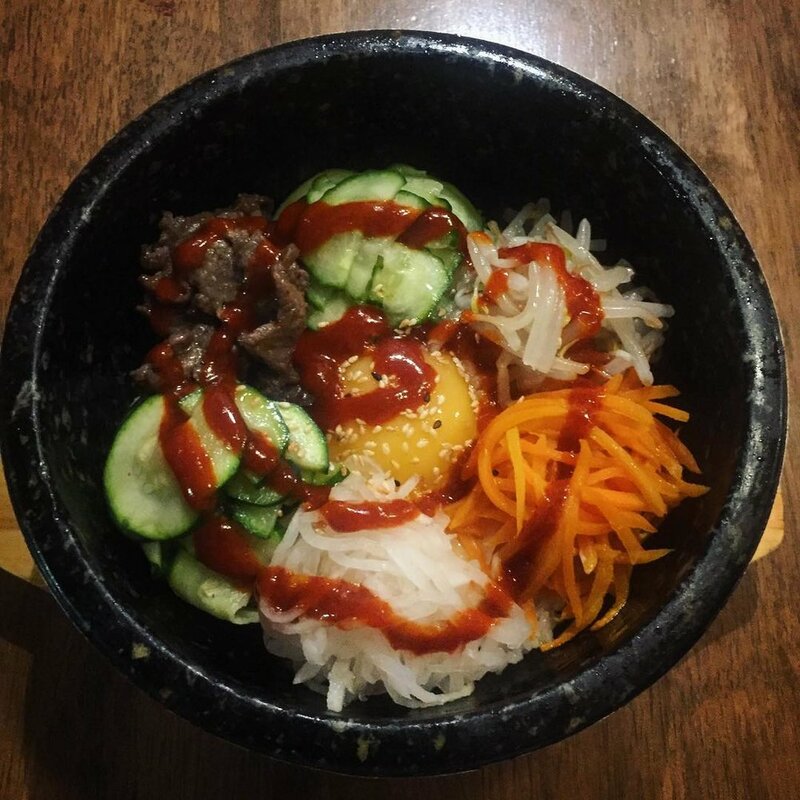 To show just how varied the cuisine of New Cross is these days, we thought it only right to include Paranhodu – the best Korean restaurant in New Cross, which we can all agree, is a hotly-contested title. It has been suggested that Paranhodu is in Brockley, however, it has an SE14 postcode, so it’s in New Cross, and New Cross should be proud that it is in New Cross. Whatever you’re looking to do, be it pitch woo, be wooed, smash targets, or even close deals, Paranhodu can provide both the perfect setting and the perfect accompaniment. Just as Bruce Wayne leads a double life as the Batman, so too ReynA (yes that is correct) leads a double life as an authentic Turkish cafe and delicatessen by day, and a well-loved restaurant by night. Known for its ambience, fine food and first-class cocktails, ReynA oozes romance, indulgence and is a celebration of gastronomic and cultural diversity. The menu caters for all dietary requirements and features mouth-watering dishes centred on grilled meats, fresh herbs, juicy vegetables and splendid seafood. For a truly indulgent & wide-ranging experience, opt for the set menu which, at £17.50 per head and including four delightful dishes, is wonderful value for money and features some of the more traditional Turkish temptations.